In Lesson Nine of The Messianic Consciousness of Jesus series, Dr. Robert L. Lindsey discusses Jesus’ riddle about the Messiah and David’s Son (Matt. 22:41-46; Mark 12:35-37; Luke 20:41-44) and the Healing of the Paralyzed Man story (Matt. 9:1-8; Mark 2:1-12; Luke 5:17-26). In Lesson Seven of The Messianic Consciousness of Jesus series, Dr. Robert L. Lindsey continues his discussion of Jesus’ sermon in the Nazareth synagogue. In Lesson Five of The Messianic Consciousness of Jesus series, Dr. Robert L. Lindsey examines Jesus’ saying about the son who knows the father (Matt. 11:27 // Luke 10:22). In Lesson Four of The Messianic Consciousness of Jesus series, Dr. Robert Lindsey examines the story of Jesus’ temptation. 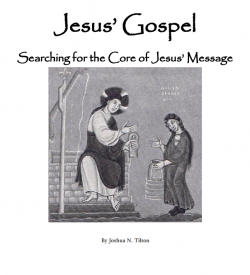 In Lesson Two of The Messianic Consciousness of Jesus series, Dr. Robert L. Lindsey examines the interrogation of Jesus by the chief priests and the origin of the Son of God concept. In this video Jerusalem Perspective‘s editor-in-chief, David Bivin, demonstrates how translating Jesus’ sayings into Hebrew can provide clearer insight into Jesus’ message. In this video Dwight Pryor discusses Jesus’ attitude toward the Jewish Law. In this article, Dr. Robert Lindsey discusses the importance of the so-called “minor agreements” of Luke and Matthew against Mark for properly understanding the interrelationship of the Synoptic Gospels. 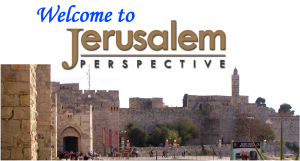 David N. Bivin and Joshua N. Tilton collaborated with Lauren Asperschlager to bring this article, which previously existed only as an unfinished draft, to Jerusalem Perspective subscribers. One aspect of the cultural context of the Gospels that is often overlooked is the role played by animals. In this article I will explore the significance of chickens in first-century Jewish culture and the part they play in the story of Jesus. Who Made the “Omission,” Luke or Mark? Did Luke see and omit Mark 6:45-8:21, or did Mark see and omit Luke 9:51-18:14? The present article explores the possibility that the Markan pericope, “What Makes a Person Impure” in Mark 7:1-23 is dependent upon the Lukan pericope on “Discourse against the Pharisees” in Luke 11:37-41.